TheWirk.com ~ voted BallHyped.com's 2010 "Best Independent Sports Blog": Quick Poll: Who should coach the Miami Heat ~ Riley v Spoelstra? Quick Poll: Who should coach the Miami Heat ~ Riley v Spoelstra? There has been a lot of chatter about who should be head coach of the Miami Heat. I have been a fan of Erik Spoelstra ever since he was on the other end of the bench (i.e. from Pat Riley). Believe it. Why? Because I think he's cute. **** In the interest of full-disclosure, I'm half Filipina. Spoelstra started his career with the Miami Heat as video coordinator and is currently the head coach (i.e. after more or less being hand picked by Riley). I never really watched the Miami Heat, until Riley joined them in the mid-90s. I remember watching the Heat go against the New York Knicks in the late-90s and the physicality of those games. **** I'll admit that I probably should have been studying, since I was in medical/graduate school at the time. Sorry, dad. Haha. There's no question that Pat Riley has had amazing success as a head coach. Riley, the current Miami Heat team president, has won 5 NBA Championships as a head coach (i.e. 6 if you count when he was an assistant). Riley made me a Laker fan when I was younger, because I couldn't take my eyes off of Magic Johnson, James Worthy, Kareem Abdul-Jabbar, Byron Scott, and A.C. Green. **** Til this day, I have a poster of the Los Angeles Lakers in my mom's house and a framed Magic Johnson picture at my dad's house. I dare both of them to get rid of either item. When most girls dreamt about going to the beach or Disney World, I dreamt about going to The Forum. 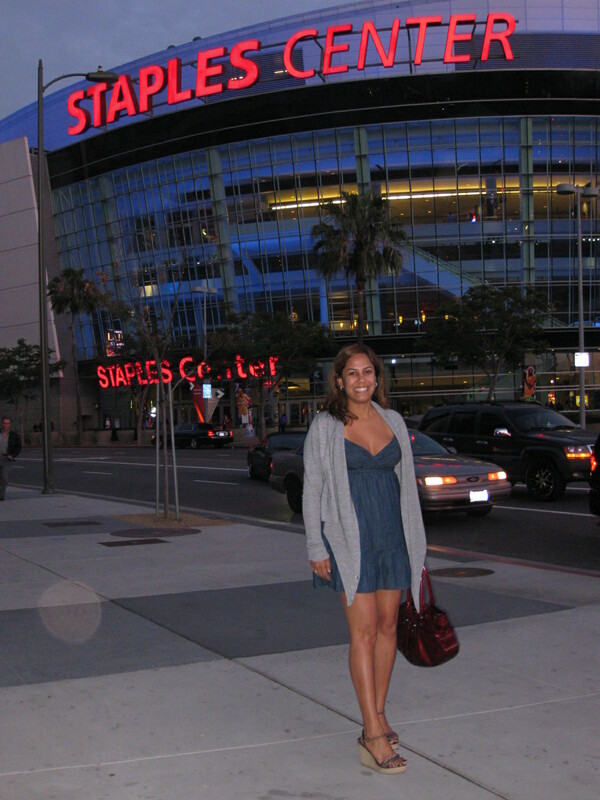 Incidentally, I never made it to The Forum, but I have been to the Staples Center twice. What do you think? I remember watching a debate about players v coaches. A former NBA player argued that players are judged by whether or not they have a NBA Championship ring. Coaches, he argued, are judged by their win v loss percentage. In another article a case was made that a coach should be judged by his record v expectations (i.e. games that you should win count less, because you SHOULD HAVE won them anyway). What do you think? Do you think Pat Riley could get more out of the Miami Heat (i.e. than Spoelstra) or is it just growing pains as the team develops its own style and rhythm? Oh, and I have to ask: Do you think Riley will replace Spoelstra this season? I think folks are giving the Heat too much credit. From the moment they landed Lebron & Bosh, I was sure they wouldn't win a title this season. It's going to take a good while for them to see if there's any chemistry there. I won't start ringing the doomsday bells unless they're way out out of playoff contention in say, March. Let Spoelstra have a legit shot. Trey - I agree. I think too many people bought into the hype, and they are probably panicking and jumping off the bandwagon now. I predict no title this year and next year for sure. I'll even go so far as to say no title for the next 5 years. If Riley jumps in, I think he'll wait until they're geling. Why should he get his hands dirty while they're still working out the kinks?!? !